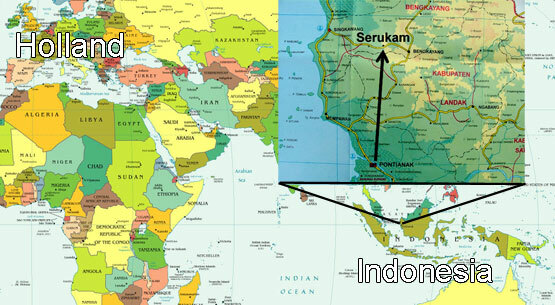 I hope to be back here in Indonesia in February 2012 because there is still so much to do. We are working hard to renew all the water pipes in the Hospital. The old water pipes under the ground are leaking and because of that there is water shortage outside of the rainy season. On the picture you can see the new water pipes and I am installing an aluminum cover to protect the new float valve. It happens that when there is no water coming out people touch it and break it and then the basin overflows when the water returns. The people here shower with a plastic bowl (On the picture) which they fill with water from the basin and throw it over themselves. On the picture I am wearing a local hat made of leaves which is used here by people who work in the sun. I am standing with the ladies of the laundry who are very grateful that all machines are working again. On the picture above we are having a baptism in the �Swimming pool� which is a small dam in the river which runs alongside the Hospital. 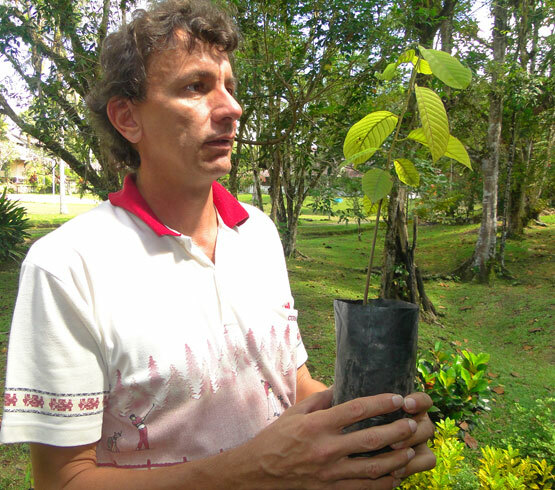 On the picture to the left I am holding a small tree of the famous ironwood; Eusideroxylon_zwageri ; well south after by all illegal woodcutters. It is now a protected and endangered species in the wild if we don�t do something about it. So I am helping with replanting them here in the jungle. 11-11-2011 I hope to marry Jennifer Sanchez from Chile. We met in October and Jennifer would love to join me in missions. She also has technical talents so we form a good team together. We want to continue working as volunteers to help people and spread the Gospel of Jesus Christ. Do you like to help with our wedding preparation? 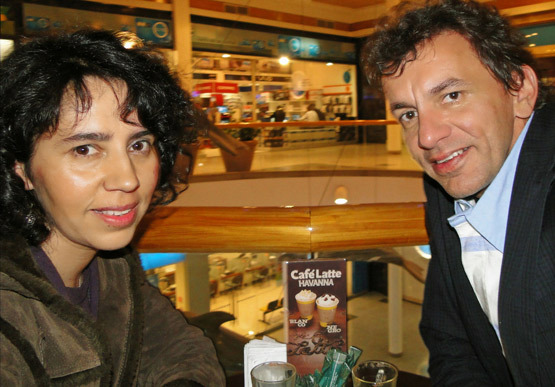 Jeny and Daniel in Chile in October 2010 getting to know each other over a cup of coffee. Genesis 1:27 So Eluhim created man in his image, in the image of Eluhim created he him; male and female created he them. If you wish not to receive more Emails, please send me an empty email with the subject "No More"
Please do forward this newsletter or link http://Newsletter.DanielHuisman.com freely to others. Click here to; Go to my Homepage.